Vibrate Higher Foundation began serving in Haiti in 2017 - providing solar powered lights to those in need. Quite quickly the foundation’s mission grew to include bringing education to schools through tech labs, helping students find mindfulness and inner peace through yoga, bringing fresh drinking water to the masses - and so much more. This mission trip is the perfect opportunity to combine heart-fulfilling service work with relaxation, connection and culture. During your time in Haiti, you and your team will have the opportunity to serve in a variety of areas such as mentoring children, English tutoring, beach cleanup or Health and sanitation workshops. 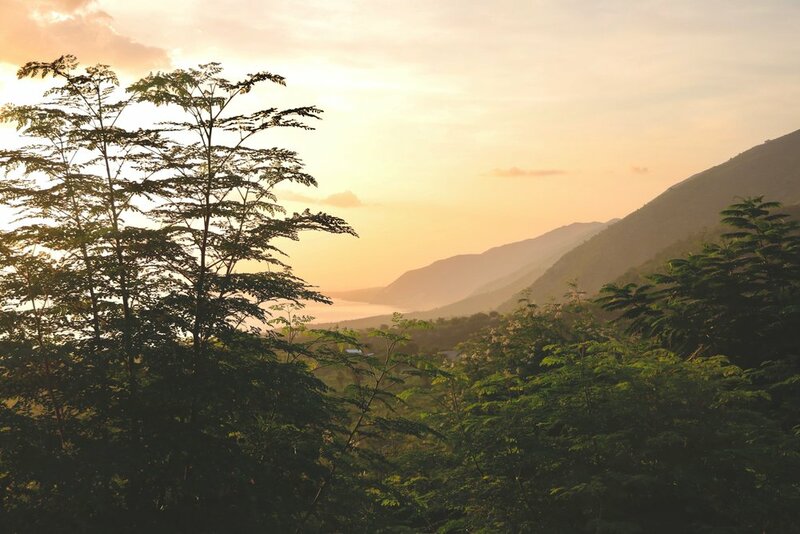 On top of the soul-fulfilling mission work you will also get to enjoy twice daily yoga on a beautiful outdoor yoga/meditation deck surrounded by gardens, two beach days on the famed Labadee Coast, a visit to the Citadel, a tour of traditional Haitian artisans workshops and so much more! Volunteer work will be spread throughout the duration of the trip. This work includes (but not limited to) things like mentoring children, English tutoring, Beach cleanup and Health and sanitation workshops. Monday: Awaken and enjoy morning yoga and a delicious breakfast followed by volunteer work. Spend the afternoon relaxing on the beach before returning to the Villa for a delicious dinner and evening yoga. Tuesday: Sleep in or rise early and enjoy morning yoga, an optional hike, tour of the city and/or cultural farm visit throughout the day. End the day back at the private villa with evening yoga and a delicious meal. Wednesday: Of course, morning yoga! Followed by a delicious breakfast and a full-day of life-changing volunteer work. End your day back at the villa with some time for yourself during an evening yoga session and delicious meal. Thursday: Daily inclusions (meals/yoga) followed by a tour of the citadel and palais st soucis, as well as optional cultural visit. Friday: Of course, morning yoga! Followed by a delicious breakfast and a full-day of life-changing volunteer work. End your day back at the villa with some time for yourself during an evening yoga session and delicious meal. Saturday: Daily inclusions (meals/yoga) followed by a full day of rest and relaxation at the beach! Sunday: Morning yoga and breakfast before departure. Welcome to paradise! Our private Villa will boast 5 bedrooms and 7 baths set in the picturesque mountains of Cap Haitian. This private estate offers a yoga deck and mediation gardens throughout the property. This beautiful room boasts a queen sized bed, private bath and your very own balcony with a breathtaking view of the gardens! Enjoy two twin beds and a shared bathroom - perfect for friends and family or anyone looking to make new friends! The more the merrier! This room boasts three single beds with a shared bathroom.